Salem, OR—A temporary 25-percent tax is now in effect for all recreational marijuana products sold at medical marijuana dispensaries through December 31, 2016. The tax is applied to the retail price of the recreational products. Dispensaries must list the retail price and total tax separately on customer receipts. “Dispensaries can set whatever price they choose for their products, but the price must be set up front and the law requires consumers be issued a receipt showing the price and tax they're paying,” said John Galvin, manager of the Marijuana Tax Program. Right now, medical dispensaries are the only facilities authorized to sell recreational marijuana products. Their sales are currently limited to flowers, leaves, immature marijuana plants, and seeds. Medical marijuana remains untaxed. Dispensaries must register with the Department of Revenue before remitting payments or filing returns. This allows the department to create a tax account for them. About half of the dispensaries (140 out of 284) publicly listed as recreational marijuana retailers with the Oregon Health Authority, have not registered. Payments are due monthly starting in February. Returns are due quarterly. Returns for the first quarter are due by May 2, 2016. Subsequent returns will be due at the end of the month following the end of the quarter. On December 31, 2016, dispensaries must stop selling limited recreational marijuana products. After that date, only retailers licensed through the Oregon Liquor Control Commission (OLCC) may sell recreational marijuana products. OLCC started accepting license applications last week. Its goal is to start issuing retail licenses by late 2016. The permanent, 17-percent tax on the sales price of all recreational marijuana products will take effect once a facility is licensed. Cities and counties can decide whether or not to adopt an additional local tax of up to 3 percent on retail sales. Revenue is not involved in the collection of local marijuana taxes. 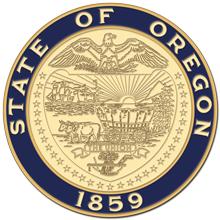 Visit oregon.gov/dor/marijuana for more information on the marijuana tax program.